This case prompted David Tan to pay for the P40, 000 bail as long as subsequent release order will be sent. This is according to his lawyer Benito Salazar. 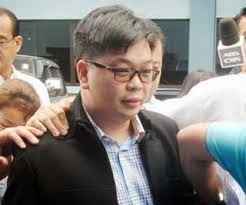 It means to say that David Tan has a great chance of being released as long as the bail is settled. This has gathered so many reactions coming from the netizens pointing the weaknesses of our justice system and there are others as well who are looking at the issue as unfair though there is always a law that should be abided. Rice smuggling is one of the serious problems of the country and every cities and provinces are working hard to solve this issue. Let us look at what will happen next with regards to the issue of David Tan. Let us see what will be the decision of the court to such case.